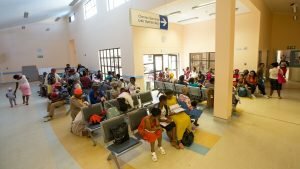 In Lusikisiki, in the OR Tambo District of the Eastern Cape, the so-called Village Clinic had become emblematic of a faltering health system, in a rural area fraught with chronic illness and early death due to rapidly-spreading HIV and tuberculosis. Now, following years of activism and litigation that started in 2013, a new state-of-the-art incarnation of the clinic is finally poised for official opening on April 3. 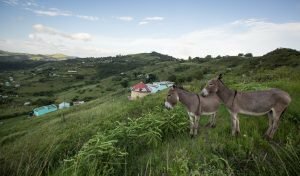 Lusikisiki, formerly the capital of Eastern Pondoland, consists of a bustling commercial centre and roughly 40 villages scattered across a 60-kilometre radius flanking the sea. The area is a significant health strategy node in that from 2002 to 2005 it served as South Africa’s first rural antiretroviral rollout base, a programme spearheaded by international nongovernmental organisation Médecins Sans Frontières (MSF), (Doctors Without Borders). It was also decreed one of South Africa’s 10 National Health Insurance pilot sites in 2012. Eastern Cape department of health spokesperson Lwandile Sicwetsha did not respond to calls or messages from Spotlight requesting information on the new Village Clinic. However, national department of health spokesperson Popo Maja confirmed that President Cyril Ramaphosa will headline the facility’s April inauguration, with health minister Dr Aaron Motsoaledi also in attendance. Failed attempts to engage with Eastern Cape health officials is perhaps not surprising. In May 2013 the Treatment Action Campaign (TAC) filed a lawsuit against the Eastern Cape’s health department for failing to address dire conditions at Village Clinic, then housed in two tents and a rickety park home on a muddy plot without electricity, and with just one pit latrine on a steep embankment. At the time, witnesses noted how one of the clinic’s nurses broke an arm climbing up to the toilet. In their 2013 court papers, the TAC listed Motsoaledi as a respondent. 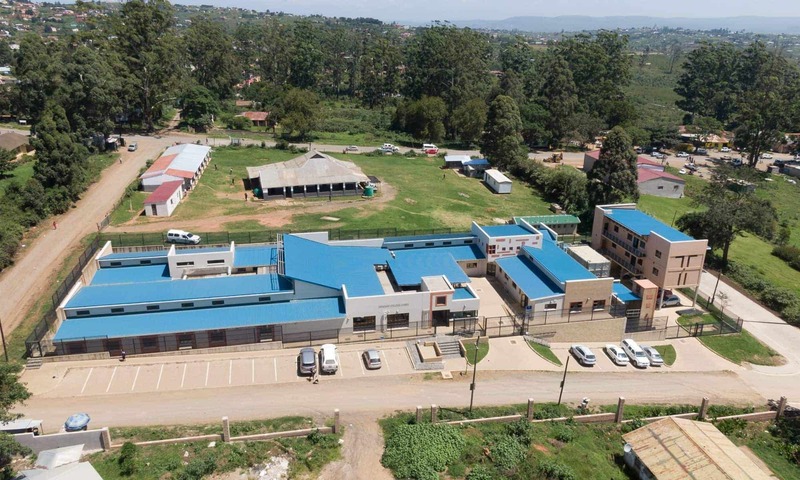 In his response Motsoaledi agreed that circumstances at the clinic were unacceptable –sidelining the provincial health department to arrange for the erection of a temporary structure to house the clinic, while tabling plans for an entirely new building. This is the facility finally set to launch next month, after more than five years of setbacks and delays. In February, Spotlight visited Lusikisiki’s new Village Clinic, which sprawls impressively across a quiet block set back from the town’s teeming main road. The premises already opened its doors to patients in September last year. The clinic sits behind ample parking and a high fence, with a gentle sloping ramp for wheelchair access. At its entrance, two security guards smile in greeting, pointing towards reception. Inside, along the first corridor, doors are marked: dental surgery, oral hygienist room, emergency room, and manager’s office, along with three consulting rooms and a counselling room. The consulting rooms are fitted with brand new examination beds, with step access, wall-mounted examining lights, and electronic blood monitoring equipment; on desks there are boxes of hypodermic needles and Vitamin B injections. 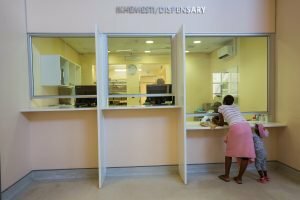 Indeed, inside the complex is a dispensary, where a pharmacist in a white coat serves patients one by one from behind a glass pane. In front of the dispensary is a waiting area, with 82 people – many with babies huddled to their chests – seated in rows on metal benches. To the side in a playroom, parents are watching hip-high toddlers waddling over artificial grass; a man is tilting yoghurt into an infant’s mouth. Overhead, the ceiling is high and the air remarkably cool, given the stifling heat outside. There is a low hum of voices, punctuated by a baby’s shrieks from the maternity section on the building’s far side. In a consulting room adjacent to the maternity section, nursing assistant Princess Dlakavu is seeing patients. A resident of the Dubana AA location – near the Lusikisiki prison – she is 58 years old and has worked at the Village Clinic for about twenty years, she says. Dlakavu’s eyes are bright as she points at the equipment around her. 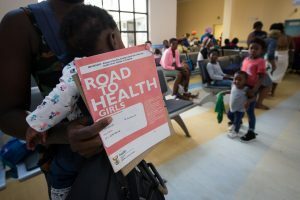 Dlakavu worked at the Village Clinic when MSF doctor Hermann Reuter brought ARV medication there – and to 11 other clinics around Lusikisiki – in partnership with the Eastern Cape Department of Health. In his book Three Letter Plague, Jonny Steinberg notes that when MSF arrived in Lusikisiki in 2002, one in three pregnant women tested positive for HIV. Reuter’s driving passion was to destigmatise HIV testing and treatment. She says that after MSF left in 2005, clinics in the area continued with the programme. Today, talk on the street is that ARVs are readily available. Outside the Village Clinic, a 29-year-old woman looks relaxed while speaking to Spotlight. She says many of her generation have realised that ARVs bring about quality of life. Another challenge is the attitudes of clinic staff. Sometimes they treat patients known to them ahead of others who have waited longer; or they insult patients. ‘There are the insults from nurses and staff supposed to help you: ‘You are smelly, go wash your body.’ Maybe that person is sick or staying at home alone and there is no one to assist with cleaning,’ says Ntamenthlo. 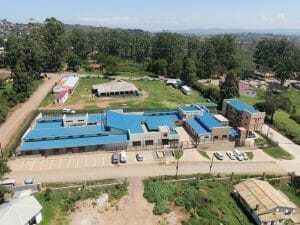 Regarding the new Village Clinic, Ntamenthlo is raising questions over the medical staff required to operate the facility. 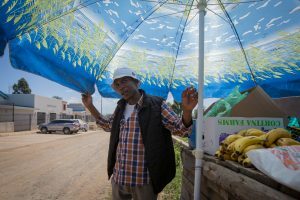 Underneath a blue umbrella his wares are on display: apples, bananas, vetkoek, and chilli sausages. All in all, in the days leading up to its official opening, the new Village Clinic is shrouded in an atmosphere of optimism. On the faces of most of those walking its corridors and precincts, looks of cautious wonder; a glow of pride and dignity. Note: Huisman is a writer and freelance journalist. She was commissioned by Spotlight to write this article. While Spotlight is published by SECTION27 and the Treatment Action Campaign, its editors have full editorial independence — independence that the editors guard jealously. Spotlight is a member of the South African Press Council.